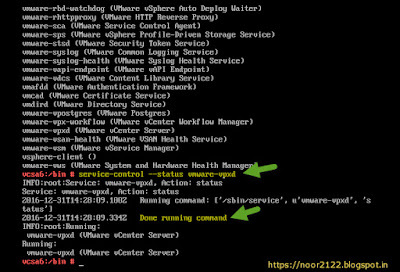 In VMware vCenter Server 6.0 and later, VMware recommends to use the vSphere Web Client or Service Control command-line tool to check, stop, start, or restart vCenter Server Appliance services. 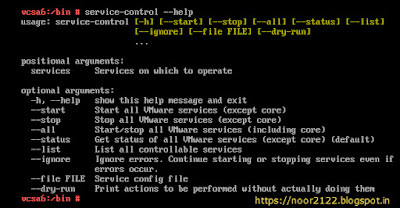 Status of vCenter appliance services can be checked either from vCSA appliance shell or by using web client. 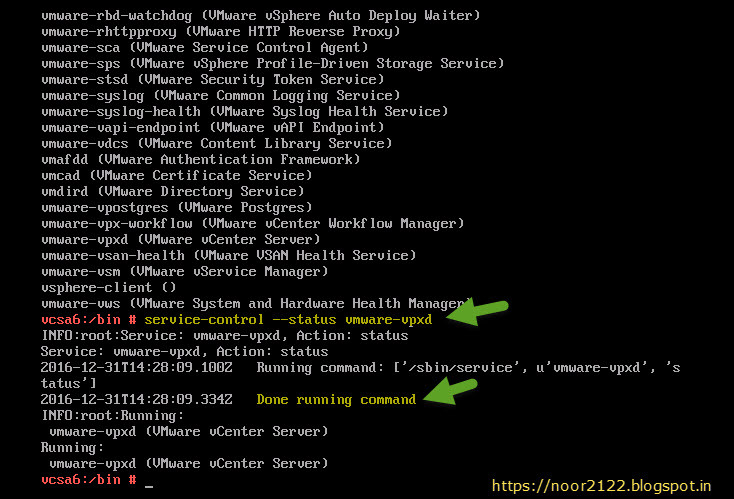 Note: To access vCSA appliance shell, same like ESXi, access to the appliance console and press Alt+F1, we can also access appliances shell over ssh using putty but for that we should have enabled ssh first and that can be done either from vCSA direct console or from web client console. 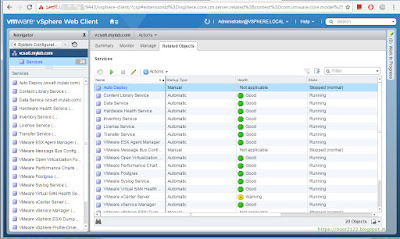 Log in to the vSphere Web Client with a vCenter Single Sign-on administrator account. Navigate to Administration > Deployment > System Configuration. 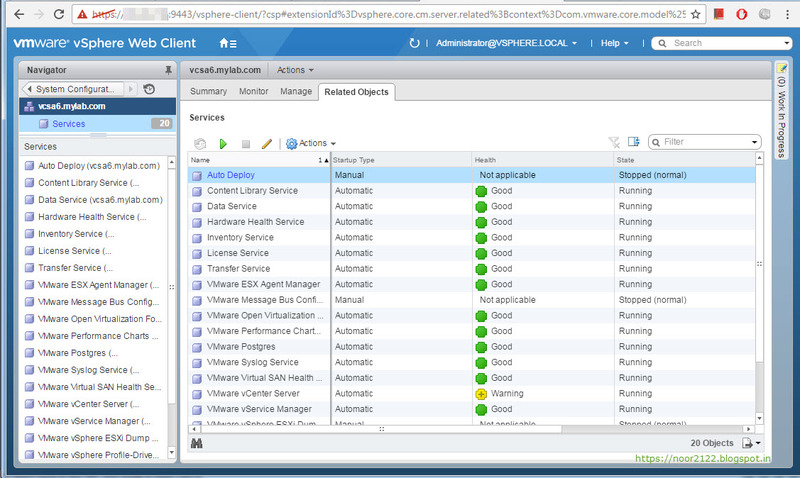 Click Nodes, select the vCenter Server Appliance node and click the Related Objects tab. Right-click on the service you would like to start/stop/restart and select desired option. 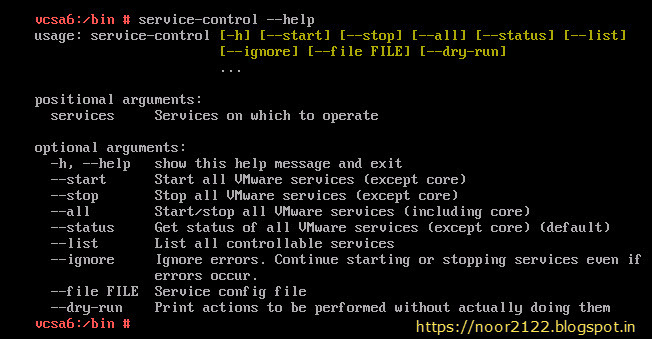 Note: To restart a vCSA appliance server you first need to stop and then start the services as there is no restart switch via shell cmd.